It was début d’après midi (early afternoon) and the height of Sarlat’s buzzing Saturday market that lines the rue de la République, spills down alleyways, and takes over the place de la Liberté. With most of the streets in the centre ville closed, poor Sylvia (our GPS) went into a spin, trying to lead us down alleyways that only a scooter could negotiate. And even one with stairs. Eventually, we ditched her and the car, and walked into the mayhem in search of our ‘home’ for the next week. 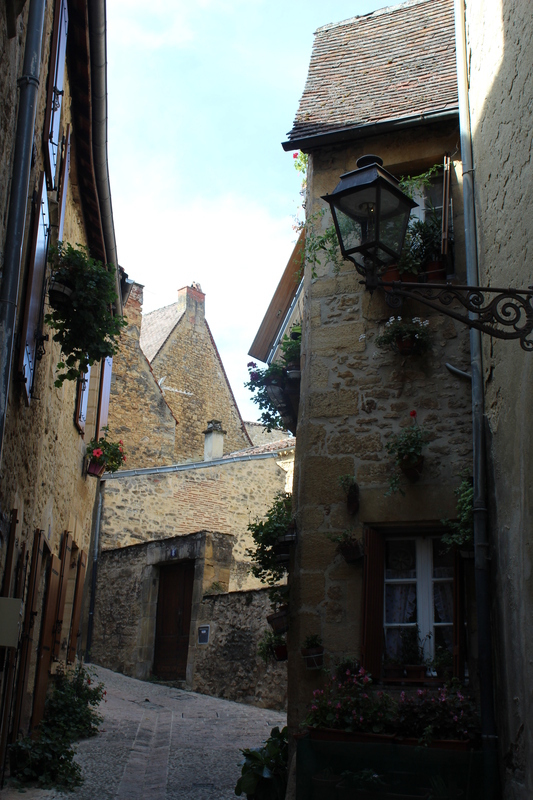 Being in Sarlat is like stepping into the scene from a fantasy novel, with its turreted stone buildings, tree-lined town square, and smaller meeting places tucked away down secret alleyways. This is a place where you can’t help but question the frenetic pace of life back home. The French really know how to live. Late starts, long lunches, the most deliciously fresh food, promenading at dusk, closing their shops or restaurants when something more important comes up… C’est la vie. Dordogne is a place we’d move to in a second, but home is where the heart is. So we’ll have to be content with taking a little bit of this lifestyle back with us. Meanwhile, if all goes to plan, we’ll be kayaking down la Dordogne from Carsac to Beynac tomorrow. If not, there’s always the next day… c’est la vie. Thanks to the lovely Leila, from France at Leisure in Brisbane, who booked our accommodation from the Loire Valley through to Dordogne, into Provence and Burgundy… including our Burgundy cycling trip. 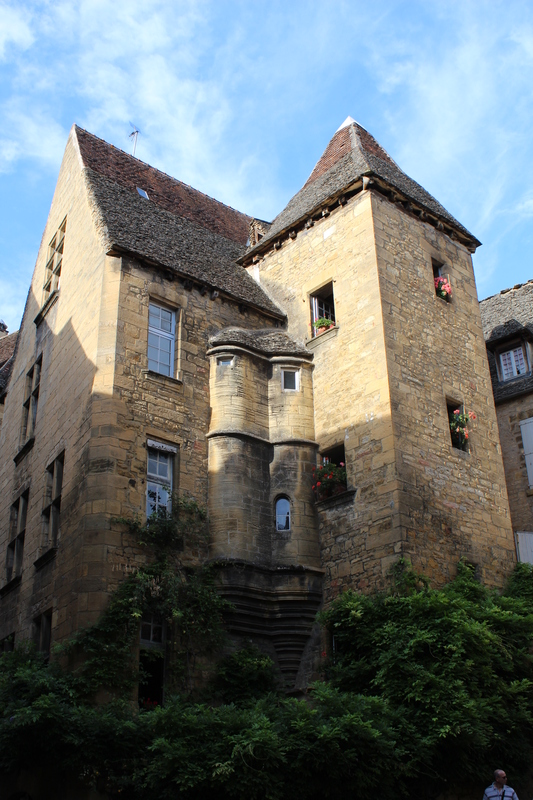 This entry was posted on Sunday, September 23rd, 2012 at 4:33 pm	and tagged with Dordogne, Sarlat, vacation and posted in France, Travel. You can follow any responses to this entry through the RSS 2.0 feed.